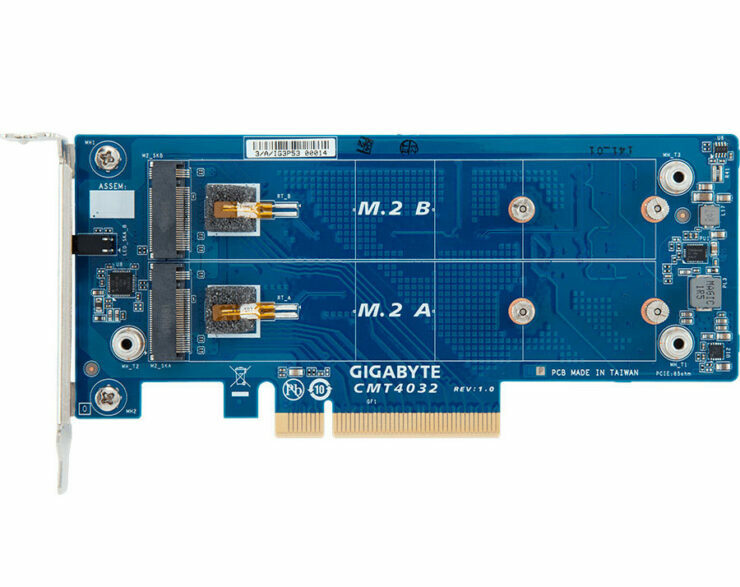 Earlier this week, Gigabyte has introduced both the CMT4034 and CMT4032 M.2 PCIe Riser cards which are used for converting PCIe 3.0 slots into M.2-22110 slots with PCIe 3.0 x4 wiring. our motherboard needs to support PCI-Express lane segmentation, as the cards have no switching logic of their own. 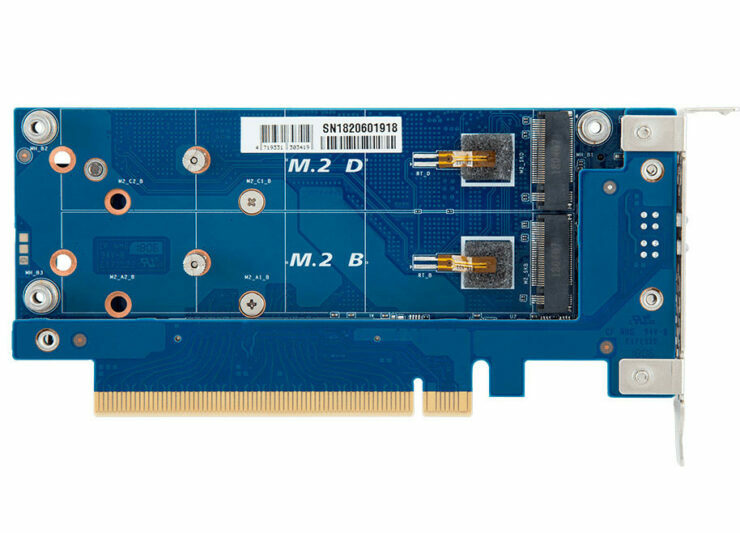 With the growth of M.2 SSDs and the fact that most motherboards only come with a single slot, this creates a problem for those seeking fast storage. 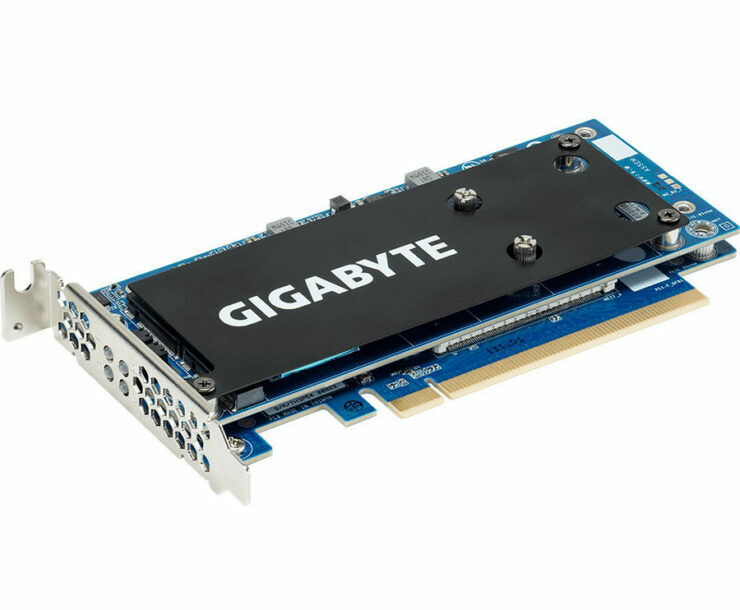 Gigabyte offers this add in card which allows you to use multiple M.2 SSDs as long as their is PCIe 3.0 x8 or x16 lanes available on the motherboard. Both cards are built in the half-height and the main difference between these cards is the CMT4034 has four M.2 22110 slots and needs an x16 slot while the CMT4032 has only dual M.2 slots requiring an x8 slot available. Both cards include metal heatspreaders. You also get thermal sensors and link/activity LEDs for each individual slot. The company didn’t reveal pricing, nor did they reveal if these could be bootable, or support RAID. Gigabyte, has today rolled out the newest in its line of Aorus branded products, the P7 RGB gaming mousepad. 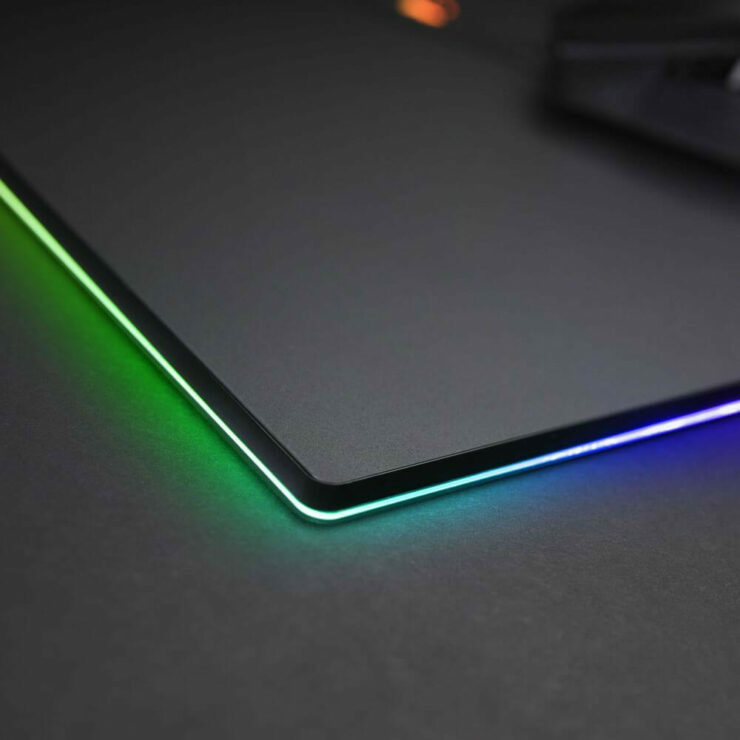 Like almost every other elevated mousepad that has RGB lighting, the P7 RGB features silicone RGB LED diffusers lining the perimeter. There’s also an RGB LED illuminated Aorus logo up top. 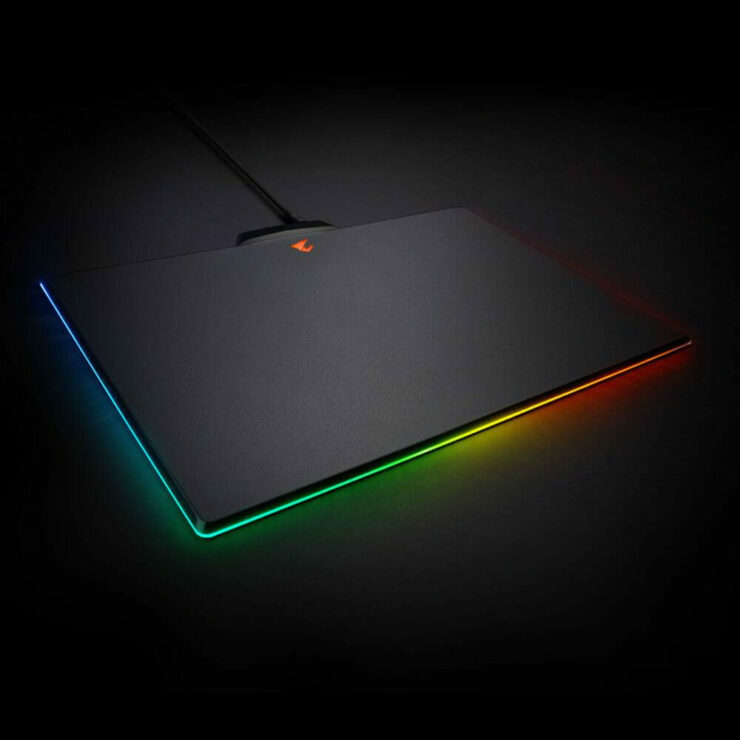 The mousepad connects to your PC over USB, with a micro-USB connector at the pad, and a conventional type-A connector on the other end of a 2-meter long cable. 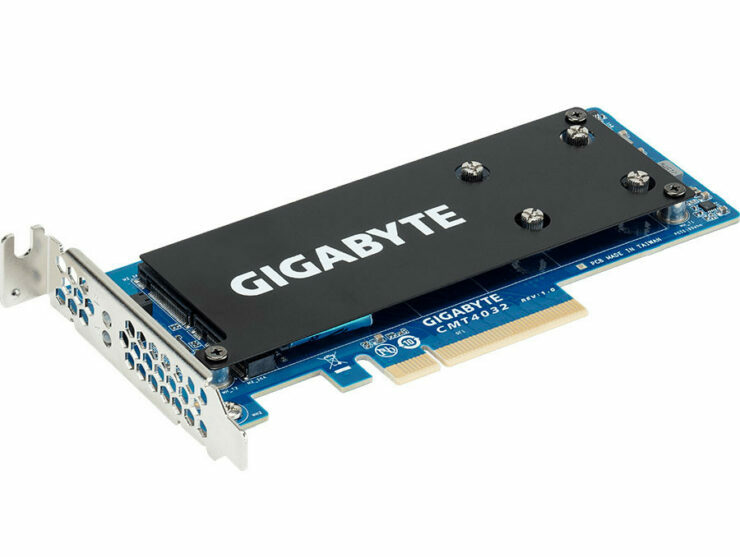 GIGABYTE RGB Fusion software controls lighting. 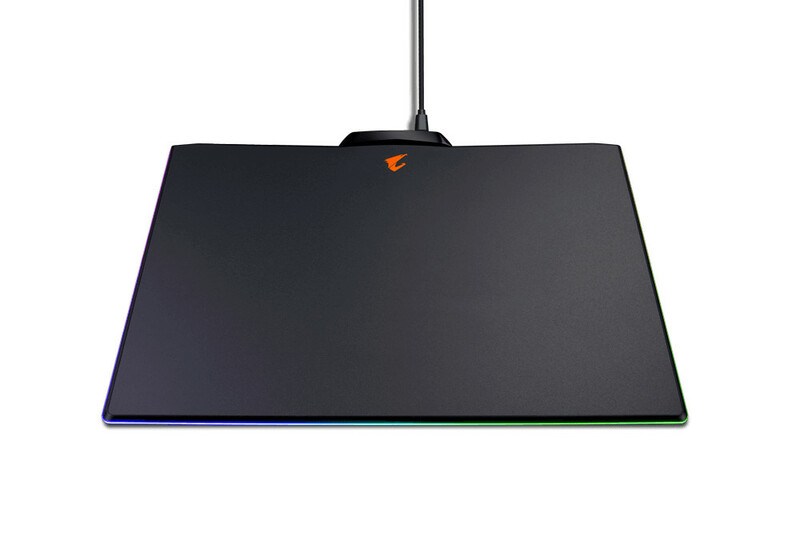 As a mousepad itself, the Aorus P7 RGB features a 350 mm x 240 mm (WxD) surface, with a slight elevation of 4.6 mm. The surface is a hard micro-texture polymer, with low friction, optimized for both laser and optical sensors. At 420 g, it is rather bulky..